As a kid did you ever have a “spot the difference” activity book? Here is the classic truck version. While the two 358 model Brockways below are not the same truck they certainly have more than a few similarities. I picked up the above photo on eBay while feeding a baby late at night. At the time I thought I might have found the original version of a truck I spotted at the 2018 National Brockway Truck show. After I took a full look at the photo when it arrived I realized it was a case of close but no cigar. Clearly the two were cut from the same cloth and who knows, they might have even passed down the factory line one after the other. This entry was posted in Vintage and tagged buhrmater. Bookmark the permalink. Must be a fuel truck thing, obviously they always are required to do this on the trucks that fuel airplanes. But I get a kick out of that someone put a wheel chock in front of the rear axle, like the old tired girl is actually going fo somewhere. By the looks of things, it looks pretty level, and going out on a limb, I’m guessing the tank has been empty for more than a couple of days. Maybe it’s a law though I’m guessing. Can’t be too careful I guess. Funny observation. LOVE all the old trucks, especially the Brockways. Hope all is well with the beautiful baby. What an awesome way to start the new year! I’m in Singapore and we beat you all to 2019 by 13 hours, and so far so good. ( A little glimpse into the future). Ha Ha Ha. One of my crew mates on the trip is from Syracuse . Good people these Syracuse folks. Keep up the great work on the site. Thank you Mike! Always nice to hear from you. 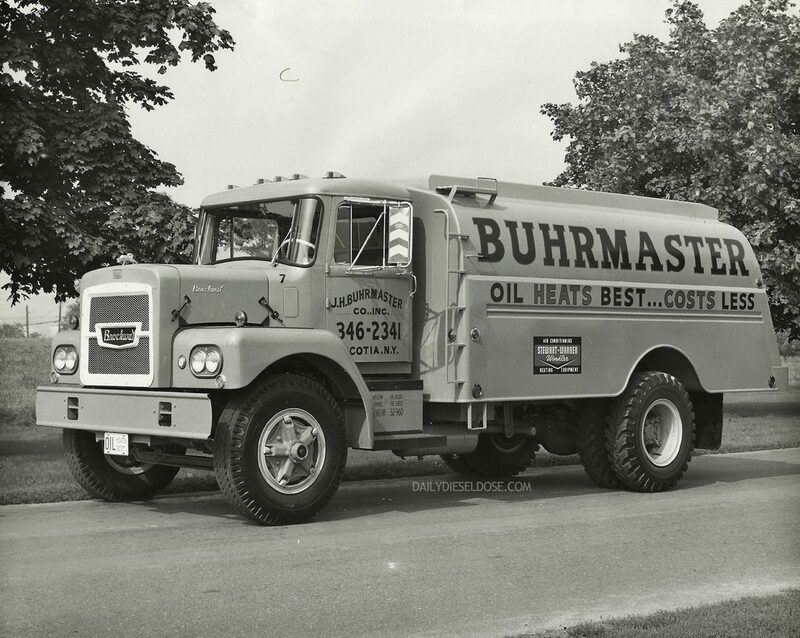 I remember Burhmaster! I grew up a few towns north of Scotia. Thanks for sharing this pic. Might have to build a model of that truck for my model railroad. 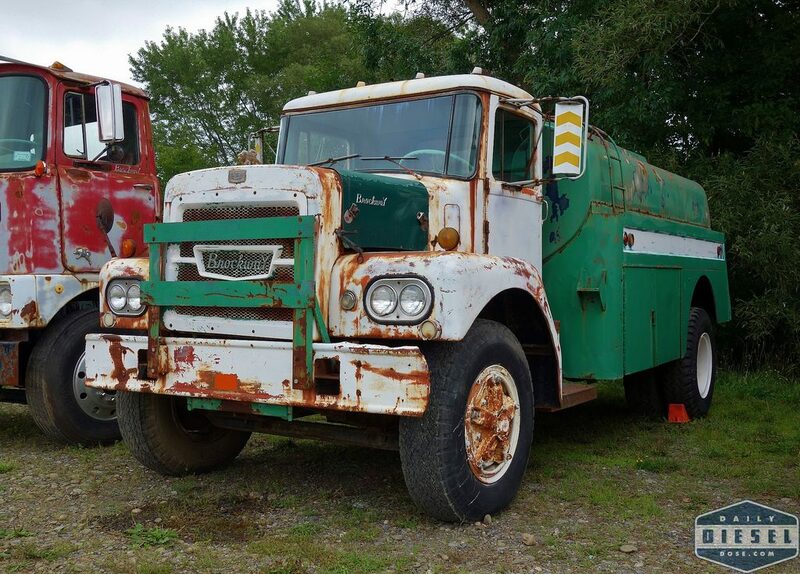 the green Brockway is a 1966 model 358 . was built to be a Gulf oil tanker .. they didn’t take it . so it spent it’s life as a water truck watering the horse tracks .. south east of Rome NY. it only has 3303 original miles on it .. It’s mine .. going to fix it up and take it to the shows.